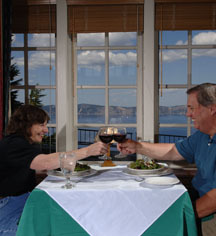 Crater Lake Lodge Dining Room is a fine dining establishment that features Northwest cuisine made with choice Oregon-grown ingredients. Sample the best of what Oregon has to offer, from the freshest, locally grown mushrooms and berries to Rogue Valley cheeses and wines. 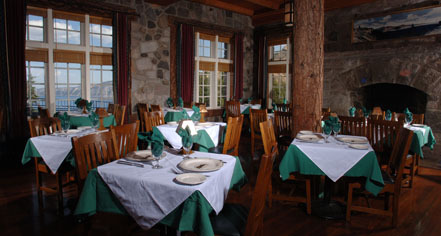 The Crater Lake Lodge Dining Room is open for breakfast, lunch, and dinner with seating available for 78. For more information about Crater Lake Lodge or to make reservations please visit craterlakelodges.com or call 1.888.77.4CRATER (888-774-2728).